Deirdre Kent and conference organizer Laurence Boomert have provided a link to audio records of the New Zealand Community Currencies Conference 2009 that was held in Whanganui April 17-19th. 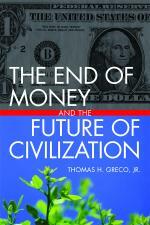 Here is a link to the audio recording of our keynote speaker Thomas Greco at the conference. Audio recordings of other speakers at the conference will also soon be available and a bit later we will have the videos that go with the talks. The written resource document that records the different models of currency brought forward at the conference will soon be available. I’ve also now posted the photos to my photo gallery. — t.h.g. This entry was posted in Basic Concepts, Developing Alternatives, My activities and tagged audio, Australia, community currencies, keynote, New Zealand, photos. Bookmark the permalink. Jct: Best of all, when the local currency is pegged to the Time Standard of Money (how many dollars/hour child labor) Hours earned locally can be intertraded with other timebanks globally!